Craig Hart Neilsen, 65, the CEO of Ameristar Casinos, died unexpectedly Sunday, Nov. 19, at his home in Las Vegas. He was the force behind numerous development projects in the Wood River Valley. Neilsen was raised in Twin Falls and graduated from Utah State University. He earned a master's degree in business and a Juris Doctorate at the University of Utah. Shortly after that, he joined his father, Ray L. Neilsen, in his construction and real estate development firm in Twin Falls. In 1967, Cactus Pete's Casino and the Horseshu Club in Jackpot, Nev., came under the partial control of Ray Neilsen, whose construction company had built many of the structures at Cactus Pete's. When Neilsen's father died in 1971, he started Neilsen & Co., which soon became the region's largest and most successful construction and real estate development company. He also led the privately held casino hotel organization, consisting of Cactus Pete's Resort Casino and the Horseshu. These two original properties, with a nearly 50-year history, created the foundation for the current Ameristar business. 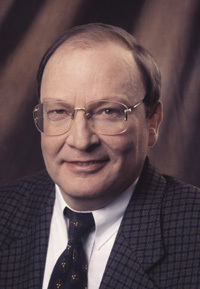 Craig Neilsen was responsible for the construction of many of Twin Falls' major buildings, such as the College of Southern Idaho Fine Arts Center and Expo Center, the Canyon Park shopping center, and a hotel and convention center to break ground in 2007. In the 1970s in Ketchum, his company had several building projects including the Bigwood condominiums, Weyyakin condominiums, Wildflower subdivision, Sun Valley Arts Center and the Woodside Racquet Club in Hailey. Ketchum architect Jim McLaughlin worked with him on many of these projects. In 1984, Nielsen became sole owner of Ameristar. A year later, driving between Jackpot and Twin Falls he was in a severe car accident that left him paralyzed and confined to a wheelchair the rest of his life. He took Ameristar public in 1993, thus expanding the company to outside of Idaho and Nevada with seven casinos in five states. In 2002, Neilsen was honored as Best Performing CEO by the American Gaming Association, and in 2005 was inducted into the American Gaming Association's Gaming Hall of Fame. In 2006, he was named Outstanding Business Leader by the Buoniconti Fund to Cure Paralysis. Neilsen also served on the board of directors of the American Gaming Association. He established the Craig H. Neilsen Foundation in 2003, and since then has contributed millions of dollars, primarily toward spinal cord injury research at the nation's leading institutions. According to his estate plan, his stock in Ameristar will be transferred to The Craig H. Neilsen Foundation. "Those of us who knew my Dad respect him tremendously as a business leader with inexhaustible passion for our company," his son and successor, Ray Neilsen, said. "He was an entrepreneur with incredible vision who took the company public and who led our strong growth. Further, he inspired all of us with the courage, determination and dignity that he demonstrated every day in living with a spinal cord injury. "He has left a lasting impact on the lives of so many others through his generosity and community spirit. I can't begin to express the great personal loss to me and my family, as well as to the entire Ameristar family." The family requests that, in lieu of flowers, donations be made to The Craig H. Neilsen Foundation, 550 Blue Lakes Blvd. N., Twin Falls, ID 83301-4033, Attn. : Tributes.